Helping men, women and families recover after an abortion. Abortion has a deep ripple effect. You may have chosen abortion personally, lost a child to abortion, or your life has been profoundly affected by abortion. 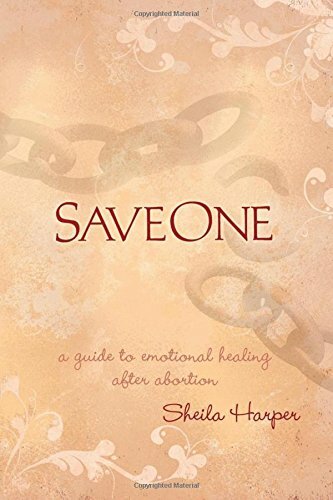 This 12-week Bible Study by SaveOne offers hope and healing to those who are struggling emotionally, physically and spiritually from the affects of an abortion. At SaveOne, you will learn how to overcome depression, anger, shame, guilt and unforgiveness toward yourself or others. Click the link for more information & to register!